Unite the power of folk tales with the beauty and wit of Jon Sass on tuba - and the result is a performance which is truly memorable. After performing together at the fabelhaft Niederösterreich festival, New York tuba soloist Jon Sass and I have together created a programme which travels around our world: rich tales and a rainbow of songs and sounds giving the audience an experience of an unforgettable journey. It combines the intensity of playing by a solo performer with the intimacy of a one-to-one conversation. A real treat for all ages! 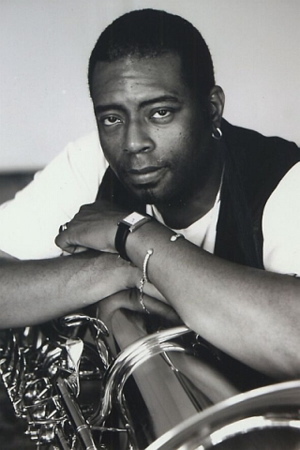 Jonathan McClain Sass, a virtuoso tuba player from Harlem who now lives in Vienna, defied the reputation of unwieldy instrument by playing exquisite trills that fluttered off into silence. Jon Sass seems to be born as a tuba. His instrument is the extension of his soul. Jon Sass reveals the modernistic trivial appearances of today with an almost shamanistic way of seeing things. The point where the sophistication of technology has come to an end is where Jon Sass begins. Jon Sass brings the tuba to places where it’s never been before. Send a for further details.